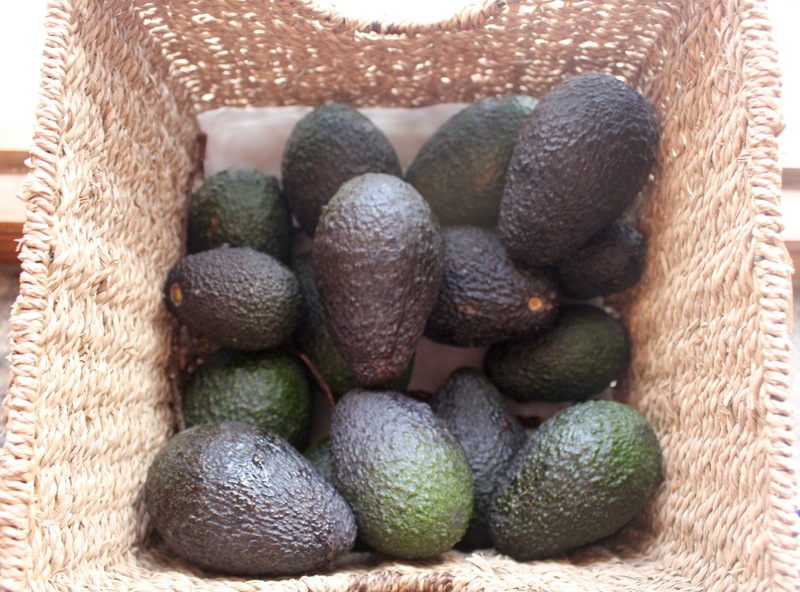 There are hundreds of varieties of avocados, four common varieties sold are Hass (dark purple/ black knobbly skin), Ettinger and Fuerte (both pear-shaped, smooth & green skinned when ripe) and Nabal (more spherical). Depending on your preferences, these varieties range from nutty to light and buttery to watery. 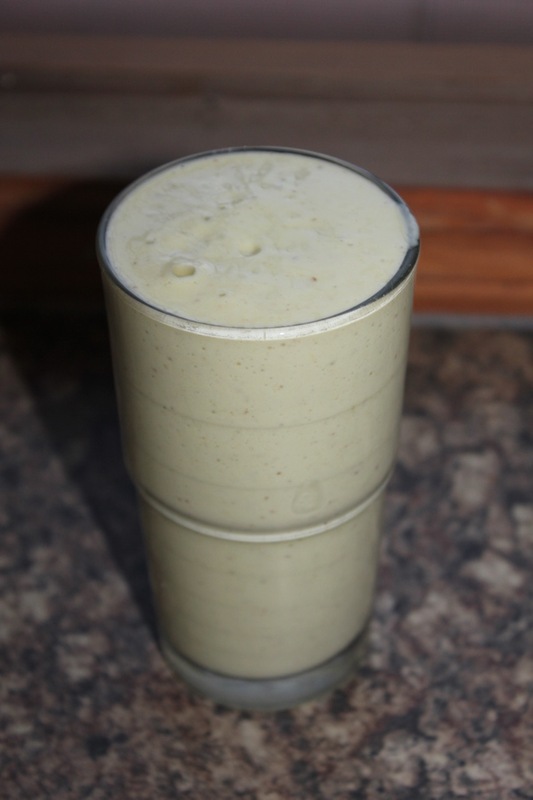 All varieties are full of nutrients, each avocado comes packed with vitamin K,E, iron, potassium and healthy fats. We picked the below Avo’s (Hass) straight from the tree in the campo and left them in a basket in the kitchen for a few days. Avocados are a unique as it that ripens off the tree, so do need storing until they are ready; give their bottoms a gentle squeeze to feel if they are soft enough to eat. To get in, cut lengthways around the seed, twist the two halves apart, chop into the seed with a heavy knife without damaging the flesh (yours and the avocado) twist and pull the seed out (it will be stuck to the knife). Avocados are delicious raw, as a quick snack try with a squeeze of lemon juice and seasoning onto each half (I like a splash of balsamic too). Or scoop out the avocado flesh and spread on wholemeal toast with a little salt and pepper, simply delicious. Mix together your chopped salad ingredients, in this case, lettuce, rocket, cherry tomatoes, lentils and tuna. 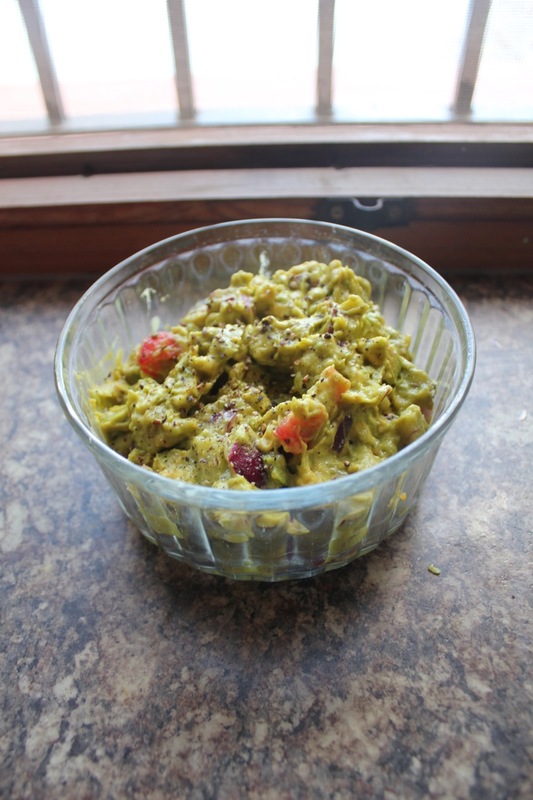 Chop the avocado into cubes and gently mix into the salad. This was served with BBQ chips and home made pesto. Mix together chopped red onion, chopped tomatoes, half the juice of a lemon, a glug of olive oil, a sprinkle of salt and pepper and a dash of tabasco sauce to desired taste (e.g 10 drops). Now scoop out the flesh of 3 avocados place it with the other ingredients in the bowl and then chop with a knife until you have a bowl of chunky guacamole. 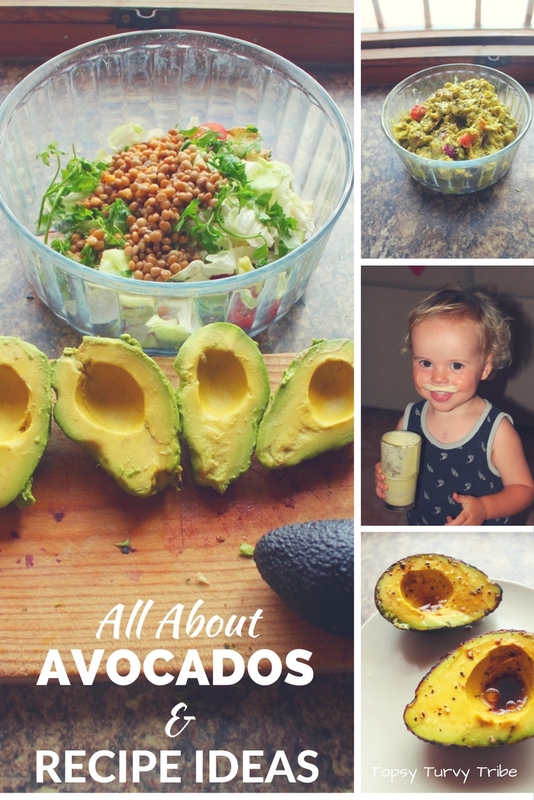 A great way to get your children to enjoy avocado! I love avacados. Cute kids.